The S-Class is a leader for active-safety features, but learn how they work because they might prevent an accident or save your life if one occurs. The Mercedes-Benz S-Class lineup is more diverse than it's ever been and is still the benchmark by which all full-size luxury cars should be measured. The 2017 Mercedes-Benz S-Class is no longer the flagship of the German automaker's lineup; it's a complex set of flagships, with coupe, cabriolet (convertible), and sedan body styles, rear- all-wheel drive, high-performance AMG versions, ultra-luxury Maybachs, and even an S550e Plug-In Hybrid. For 2017, the S-Class adds two new Mercedes-Maybach models, the S650 Cabriolet and the extended-wheelbase S550 4Matic. It also upgrades to a 9-speed automatic transmission in S550 models, adds a new Magic Sky Control sunroof option, and gets the mbrace2 Connect package as standard equipment. Although not everyone will pick the same model, or the same build, the S-Class remains the one to get when you value technology, engineering, and some of the most advanced active safety and occupant protection in the world. 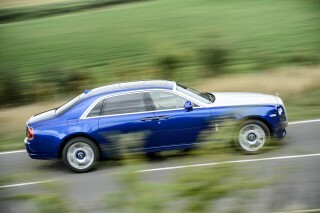 It is one of the automotive world's most lavish, hand-crafted displays of wealth and "bespoke" exclusivity. The S-Class sedan wears its lines with grace, but the coupe is the real stunner, flaunting a striking profile and a unique roofline compared to the sedan. Details are familiar but bolder, with arching character lines that look crisper, and a tauter, more horizontal look to the rear styling. In front, the S-Class Coupe gets details that are much like those of the sedans, with a more upright, broad-set grille, angular full-LED headlamps (which can host 47 Swarovski crystals), and large air intakes. Inside, all body styles are in sync, though they're not identical. 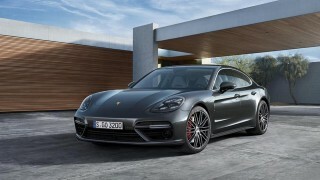 We'd say it's the same design in the coupe and cabriolet, only mapped to a slimmer form. In all cases, there is a clean, twin-tier horizontal look adorned with high-contrast materials, round vents, and plenty of brightwork and accents. The S550 models have a twin-turbocharged 4.7-liter V-8 engine, teamed to a 9-speed automatic with paddle shift controls and a choice of rear- or all-wheel drive (dubbed 4Matic) for sedans, or all-wheel-drive only for coupes. 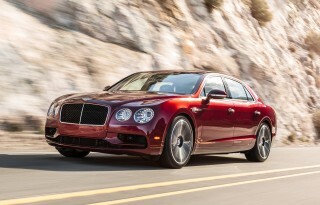 These models make 449 horsepower and 516 pound-feet of torque. This is the epitome of a luxury-flagship powertrain, an effortless performer, in tandem with the standard air suspension. One of the best—among the S-Class' many features—is Magic Ride Control. It uses a stereo camera that predicts the road surface ahead, giving it adaptive control over the ride quality in a way that works so well (provided it's in Comfort mode) that it feels rather, well, magical. The S63 AMG models get a larger, 5.5-liter twin-turbo V-8, making 577 hp and 664 lb-ft of torque (and all-wheel drive)—and the quickest 0-60 mph acceleration in the lineup, at 3.9 seconds—while the rear-wheel drive S65 AMGs, and the Maybach S650, have a twin-turbo V-12 making 621 hp and 738 lb-ft. The S600 models have a 523-hp V-12. The S-Class Coupe in particular emphasizes driving enjoyment, though its luxury-first nature dissuades you from sports car-style shenanigans. The Mercedes-Maybach models take off in a dramatically different direction. They bring an opulent look aiming at Rolls-Royce, push all of the technology and feature buttons at once, and add 7.9 inches in total length for a truly limousine-like cabin. Meanwhile, the S550e Plug-In Hybrid offers a fresh take on the S-Class family, to please those who might want to impress their dinner guests with all-electric motoring, if for short distances. The S550 will go for 12 miles in all-electric mode, and with an 85-kw electric motor system packaged with the transmission, its powertrain makes a combined 436 hp and it can dash to 60 mph in 5.2 seconds. Or in "normal" driving, it'll return 26 mpg combined. The primary gasoline version in the lineup, the S550, scores 18 mpg city, 26 highway, 21 combined, according to the EPA. Add 4Matic all-wheel drive and the score drops just slightly to 16/25/20 mpg for the sedan; the S550 4Matic Coupe rates 17/25/20 mpg. The AMGs and V-12s come in at 16-18 mpg in the combined cycle. It takes a real cynic to find fault with the Mercedes-Benz S-Class' passenger comforts. The ergonomics are occasionally fiddly, yet you'll find superb front seats, easy access for those in back, and a fillip of first-class accoutrements. If anything, the finishes used in the S-Class are more beautifully crafted than ever. The tiny knobs that control its round vents aren't as sensually pleasing as the chrome pulls in a Bentley, but the quilted leather dash and silver-toned trim are as glamorous as anything Mercedes has ever made. From blind spots to surround-views, there are camera and/or radar sensors for everything, it seems. The adaptive cruise control can steer its way along in stop-and-go traffic, or order a stop from a brisk pace when it senses a pedestrian or an animal in the road. Don't expect the S-Class to be tested by either of the U.S. safety agencies, but do expect these models to have some of the best real-world records for protection, as it's always been. The whole Mercedes lineup has become less and less clinical. Instead, it's become very plush. The S-Class' pillowed, scented, remote-controlled, app-enabled, silver-graced cabin is its most sensually appealing ever. Every cubic inch is filled with systems to nurture passengers, and it's optionally fitted with reclining rear seats, airline-style work trays, and dual 12.3-inch high-resolution screens for the driver and the car's infotainment systems. The seats offer a warm-stone massage mode; Burmester sound systems are a pricey but achingly gorgeous upgrade. For those who would rather be driven, the Executive Rear Seat Package Plus option for sedan models is as close as you'll come to the front of the plane while you're riding in the back of the car. 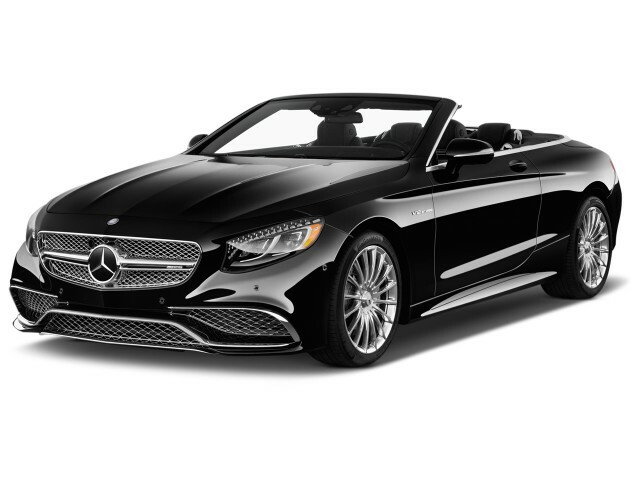 The S-Class Cabriolet features an excellent three-layer soft top, a wondrously complex climate-control system, and the much-loved Airscarf system, which wafts just the right amount of warm air to your neck, allowing you to enjoy chilly yet beautiful spring or fall (or winter) days. And yes, even the Cabriolet can be equipped with all-wheel drive. Warm and rich on the inside and inspired and elegant on the outside, the S-Class is the embodiment of luxury. The flagship Mercedes-Benz S-Class has a very demanding crowd to satisfy. It has to display all the luxury and class that has made this model a luxury benchmark for decades, yet, at the same time, set some of the design details that reverberate down the lineup. The S-Class lineup spans sedans, coupes, convertibles, and limousines, and across them all the S-Class exudes an athleticism that enhances its large form and powerful lines. As a whole, it holds true to everything it has in the past: technologically at the leading edge, but staid and formal in appearance. Yet in its current guise, the S-Class looks on the outside like it's been allowed to loosen up a bit. The S-Class looks as eye-catching as it has since when it was completely redesigned for the 2014 model year. The swoopy and curvaceous roofline is particularly attractive, and several of the smaller sedans—especially the C-Class—have inherited some of that look, as well as the far more expressive design influences inside. 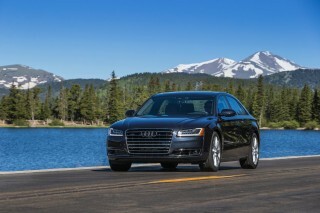 The sedan wears its lines with grace, still athletic, but more in the sense of a tour golfer than that of a beach volleyballer; there's not much joviality about it. Large frontal features, including LED-accented lighting, a tall chrome-surrounded grille, and an arched roofline, all taper into a sleek, smooth tail. Head to the S-Class Coupe and there's a good deal more athleticism as the default. The coupe shares its powerful nose with the sedan (though in a slimmer, lower guise), but gets an abbreviated side line and a completely different, taut-and-tucked rear. It adds up to a wider, more low-slung look. In AMG form, the S-Class becomes even more athletic. With more aggressive aerodynamics at the front, sides, and rear, to complement the louder sounds and monumental power output, it gets closer to the look of a sports car in S63 AMG Coupe form. But even the S63 AMG sedan gains a younger look. The clean, streamlined look of the cabin in any body style oozes splendor yet functional simplicity. The age of individual buttons for everything is long gone, and it's been given the latest version of the Mercedes-Benz COMAND connectivity system. A beltline swoops around the driver and passenger and pulls farther back in the middle, while gauges and the COMAND screen are part of a continuous control center that no longer compartmentalizes the gauge cluster and center stack. Straight-line responsiveness and ride quality are outstanding, but the S-Class is too big and heavy to corner like a sport sedan. The 2017 Mercedes-Benz S-Class is a big, heavy car. 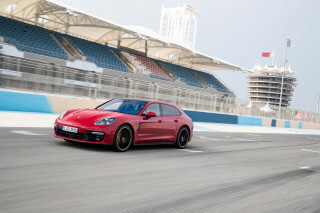 Big, turbocharged engines make the various models fast, and they are athletic for what they are, but they are first and foremost luxury cars. They are not to be mistaken for sports cars. They lack driver feedback and the sportier driving feel that's entered much of the model line—particularly in the brand's smaller vehicles. The brakes, however, are especially well-coordinated and the ride quality is glass smooth. In base the S550, the twin-turbocharged 4.7-liter V-8 engine is rated at 449 horsepower, resulting in 4.8-second 0-60 mph acceleration. Yet with the pace comes an impressive level of isolation and quietness. For 2017, the S550 and S550 4Matic switch from a 7-speed automatic to a 9-speed. We haven't sampled it yet and will report back when we do. Last year, the S550e Plug-In Hybrid joined the lineup. With an electric motor system, packaged within the transmission that puts out 85 kilowatts (114 hp) of peak output, this model makes a total output 436 hp. Mercedes-Benz quotes a 0-to-62-mph acceleration time of 5.2 seconds. 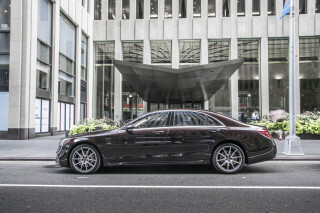 With the sedan, there’s the option of an S600 model, sporting a 6.0-liter twin-turbocharged V-12 engine rated at 523 hp. While the V-12 is more powerful, it’s also heavier, making this the boulevard cruiser’s option—its conservative rumble and "V12" badging are both symbols of status. The top-of-the-line Mercedes-Maybach S600 gets this powertrain, too. The new Mercedes-Maybach S650 Cabriolet has a 621-hp 6.0-liter V-12 that it shares with the S65 models. The S63 and S65 AMG models are the true performers of the lineup. While still very large examples of their breeds, both the S63 AMG Coupe and S63 AMG sedan inspire with confident 4Matic all-wheel drive, fierce 577-hp twin-turbo 5.5-liter V-8 engines, and upgraded suspension tuning that allows them to carve corners with both grace and pace. Zero to 60 mph takes just 3.9 seconds for both body styles. The 621-hp S65 AMG models aren't quite as quick, but that's because their rear-wheel-drive-only layout simply can't get the power to the pavement as well. The AMGs and V-12s have a 7-speed automatic. And with the AMG tuning, the subjective driving experience turns around. 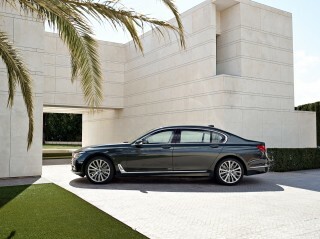 In this guise, both the sedan and coupe come alive in ways that are unusual in such large, luxurious vehicles. Spacious, coddling, meticulously built, and finely detailed, the S-Class is a great way to commute, front or back. Fit, finish, and materials quality of the 2017 Mercedes-Benz S-Class are rivaled by few other cars in the world. It’s easily the best S-Class yet and the standard by which other full-size luxury cars should be measured. Buyers can choose from a range of wood, leather, and trim options, with AMG models offering carbon fiber accents. The cabin appointments in the S-Class are spacious, beautiful, well-made, and visually impressive. And it's the sort of interior that doesn't offend; it's one that appeals to those of vastly different aesthetic tastes—and yes, there's plenty of room to add some garish details in if you really must. If after a short road trip inside the 2017 Mercedes-Benz S-Class you're complaining about comfort, you'd better be concerned—as it truly doesn't get much better than this, in any new vehicle, at any price. For those who plan to be chauffeured—or to pamper your passengers—there's a rear bucket-seat option, as well as an Executive Rear Seat Package Plus option that adds reclining rear seats with fold-out footrests, a central console with laptop trays, a hot-stone massage function, and heated armrests. In that setup, the front passenger seat headrest can be removed, with the seat back reclined, forming a chaise-style lounge nap space. Trunk space is ample, if not as relatively spacious as the cabin. In most forms, the S-Class offers a split folding rear seat with pass-through to the trunk. In the coupe, the lower roofline and the way it tapers near the back takes up a bit of space, but the materials are still just as opulent and the surfaces just as lavish. Shoulder, elbow, and hip room are ample. No crash test data is available, but the S-Class offers some of the most advanced active-safety systems on the market. A high price tag may keep the S-Class models away from the crash labs, but we have confidence in the crashworthiness of the S-Class and it has always been a launch module for some of the world's top active-safety features and occupant protection systems. Some of the many items that are standard on the S-Class include dual front, front side, and rear side airbags, plus curtain airbags; inflatable rear seat belts; adaptive brake lights; and adaptive head restraints. Also standard is Pre-Safe, which locks the doors and tightens the seatbelts when a collision is imminent and prepares the brakes for full-force application. Optional safety equipment includes forward collision warning with automatic emergency braking; active lane control; adaptive cruise control with following and steering ability, approaching autonomous driving functions in limited environments; blind-spot monitors; a surround-view camera system; night vision with obstacle and pedestrian detection; and a parking assist system. Don't expect the IIHS or the NHTSA to crash test the S-Class due to its high price and relatively low sales volume. Prices are high, but so are the levels of amenities, and buyers can opt for such indulgences as superb Burmester audio, massaging seats, and cabin perfumes. The 2017 Mercedes-Benz S-Class lineup is varied. It consists of sedan, coupe, and convertible body styles, each with several models, including high-performance AMGs and ultimate luxury Maybachs. 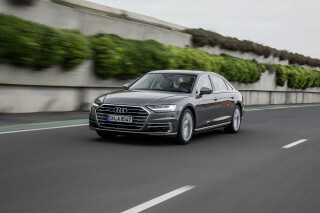 The models consists of the S550 sedan; S550 4Matic sedan and Coupe; S550e Plug-In Hybrid sedan; S600 sedan; the long-wheelbase Maybach S550 4Matic sedan and Maybach S600 sedan; S63 AMG 4Matic sedan, Coupe, and Cabriolet; and S65 AMG sedan, Coupe, and Cabriolet. Every Mercedes-Benz S-Class is loaded with features. Higher line models come with even more equipment, and buyers can opt for options that amount to indulgences. Standard features on all S-Class models include leather upholstery, power adjustable front seats, and an AM/FM/CD/HD/satellite audio system with USB input. Bluetooth connectivity and an SD card slot are also included, along with a hard-drive-based navigation system with dedicated music storage space. The S-Class sedan offers a full rolling business environment. Mercedes’ COMAND infotainment system is the interface to access audio, phone, navigation, and climate control, as well as many of the vehicle settings. It is run through a control wheel and a clickable touchpad that together allow for many types of input, including gestures. On top of COMAND is mbrace2, Mercedes’ mobile connectivity system that brings Facebook, Pandora, voice-to-text email and text messages, and more. For 2017, the mbrace2 Connect package is standard. It comes with five years of service and includes a mobile app, non-streaming apps, web services, a roadside connection, and diagnostics data. Two 12.3-inch high-resolution screens control all of those features. Fitted so that they almost seamlessly extend from the instrument panel across the center of the dashboard, the screens can show nearly any of the car’s many information and control systems. For those with a keen ear, a top Burmester sound system is available, a $6,400 option that includes 24 speakers and 3-D surround sound. There is also a mid-level Burmester sound system with standard surround sound, and the default audio system, a 10-speaker Harman unit. A notable feature of the S-Class Cabriolet is the AirScarf neck-level heating system—a must for any chilly spring or fall day when you want to put the top down. On top of these features are such indulgences as a cabin perfume system, massaging seats, two executive rear seating packages, heated and ventilated seats with a heated steering wheel, rear DVD entertainment, and a rear-seat refrigerator. Also offered are Magic Body Control, which uses cameras to scan the road ahead and hydraulics to smooth out the ride; a Sport package with sporty body cues and AMG 19-inch wheels; a head-up display; a variety of upholsteries and trims, including the designo series; and the new Magic Sky Control panoramic sunroof that can be adjusted for opacity front and rear. The S550 gets 21 mpg combined, and buyers can opt for the more efficient S550e Plug-In Hybrid or several thirsty AMG or V-12 variants. The 2017 Mercedes-Benz S-Class is big and powerful, but the volume cars are relatively fuel efficient, for what they are. Buyers can choose to go greener with the S550e Plug-In Hybrid, or opt for more power and thirstier powertrains in the AMG and V-12 models. The more popular S550 sedan is rated at 18 mpg city, 26 highway, 21 combined, according to the EPA. Add 4Matic all-wheel drive and the ratings drop to 16/25/20 mpg; the S550 4Matic Coupe rates 17/25/20 mpg. The S550e Plug-In Hybrid earns 26 mpg combined according to the EPA, and it will go 12 miles on electricity alone or 14 on a combination of charged energy plus the gasoline engine. It's powered by a trunk-mounted 8.7-kilowatt-hour lithium-ion battery pack (of which 6.4 kwh is usable), as well as a turbocharged V-6. It earns a 58 MPGe rating in combined city and highway driving. Go for the V-12-powered S600, and gas mileage drops to just 13/22/16 mpg. Opt for the AMG range and you’ll see similar figures despite the significant jump in horsepower: the S63 4Matic Coupe and sedan rate 15/23/18 mpg; the S63 4Matic convertible comes in at 14/22/17; the S65 sedan rates 13/22/16; the S65 Coupe scores 13/21/16 mpg; and the S65 convertible gets 14/21/16 mpg. Fuel economy ratings for the Maybachs aren't available.